Three years ago, 3DBear co-founder Jussi Kajala was frustrated. He was running the 3D printing program in Tekes, the Finnish Agency of Innovation. Though there were clearly a lot of applications for the technology, it had yet to become widely used in the private sector. His colleague, Kristo Lehtonen was also getting itchy. He was heading up the Finnish Minster of Traffic and Communications’ cabinet. “Kristo was a visionary who had this idea of enabling children to 3D design their own toys,” Kajala said. The two decided to join forces and form 3DBear. 3DBear is an app (on iOS and Android) that allows you to 3D animate using augmented reality. You can superimpose your 3D creations onto your surroundings with the use of your device’s camera. While many gamified AR modules use the technology because it’s new and shiny, 3DBear does something different. By simply providing the tools to use 3D animation and AR, it can be harnessed for use in virtually any lesson, class, or subject. 3DBear also comes with a few lesson plans to get the ball rolling. These plans can be more simple, like asking students to identify and arrange geometric shapes. There is a lot of room for growth after that. One class at Oregon Middle School on Long Island used 3DBear to imagine the interior space in which Anne Frank hid from the Nazis. Use of 3DBear in the classroom might sound like a tech-heavy endeavor. But thanks to some updated software from device manufacturers in recent years, it’s not as difficult as you think. “You need an iOS or Android mobile device to use 3DBear. 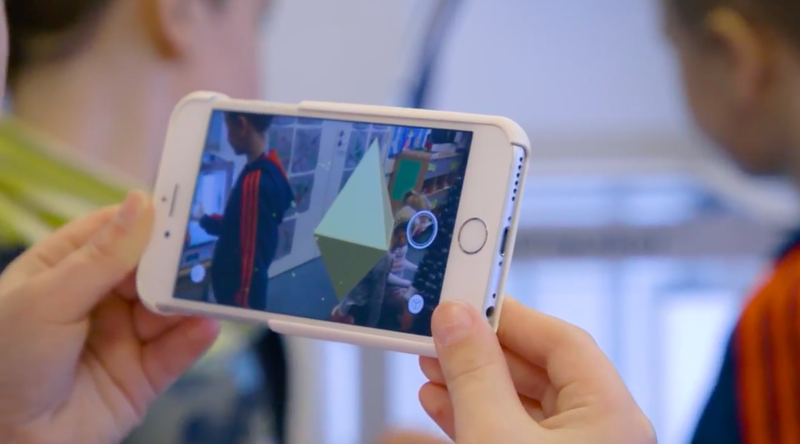 We are living in exciting times as both Apple’s ARKit and Google’s ARCore have native support for augmented reality.” A good many schools either currently have tablets available for classroom use, or soon will. 3D animation using AR is not the full extent of 3DBear. The app can also integrate with 3D printers so that students can print their designs. That can be costly and use up a good amount of plastic. But most recently, the company has released an open plan for a 3D recycler which can melt most plastics and turn it into spools ready for 3D printing. The recycler can accept most plastics, so long as the material is uniform. More information on that can be found here. Should Educators Let Machines Make More Decisions?